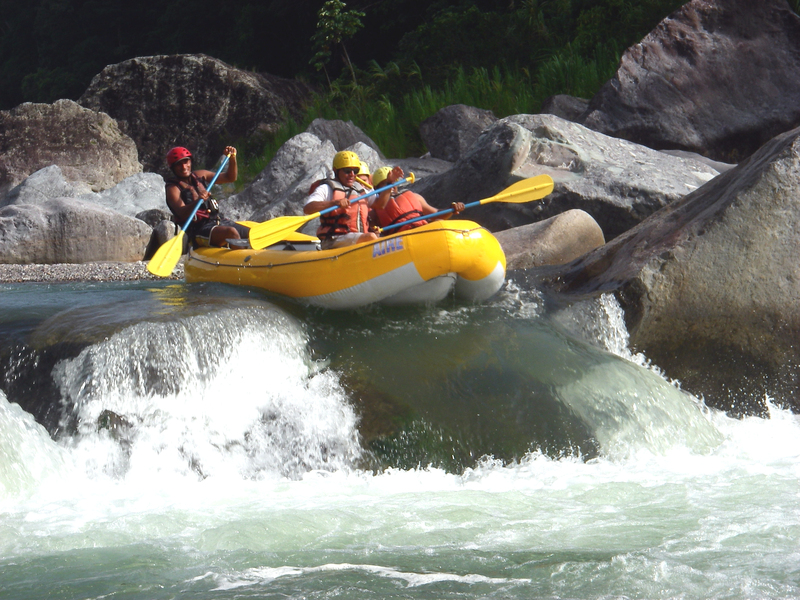 The best white water rafting in Honduras can be done at the Cangrejal River, which is literally a doorstep from your room at La Villa de Soledad. Class II, III and IV rapids will challenge your ability to work as a team as you charge down the river in an inflatable raft. Magnificent green shores, teeming with birdlife, with Pico Bonito National Park flanking the left bank of the River and Nombre de Dios National Park on the right bank, will enhance your experience. If you are addicted to the feel of adrenalin pumping through your body, this is a must do activity! No previous experience in necessary. The regular put in for the activity is only about one third of a mile up river from La Villa de Soledad. The activity is not recommended for kids under 12 years of age. Life vest and helmet are provided. If you are into the feeling of flying through the forest canopy in a zip line, then we have the perfect activity for you! 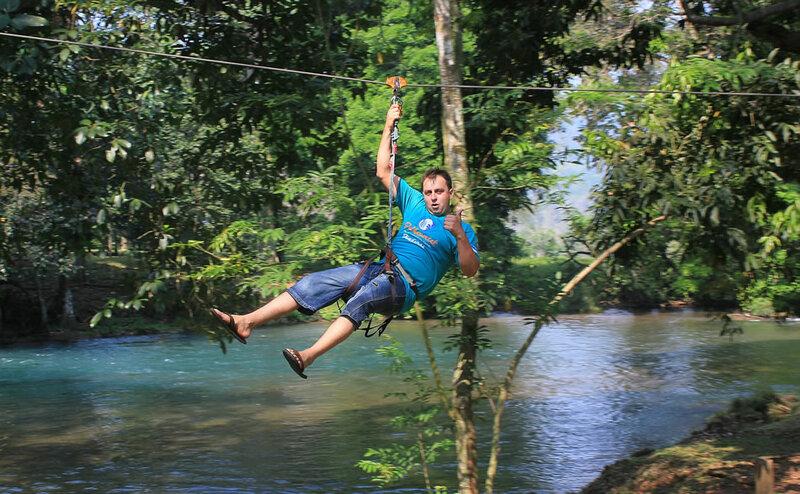 The Jungle River Tours Canopy is located only 2/3 of a mile from our Eco Lodge and offers you the opportunity to zip through a total of 9 cables. Zip across the Cangrejal River, then hike up the mountain into Pico Bonito National Park and then start your return downhill on the remaining 8 cables. The platforms located high in the forest will give you a unique view of the jungle canopy. The last cable will bring you back over the Cangrejal River. The tour will take you a couple of hours. Don’t forget to bring good hiking shoes. The tour company will provide you with a helmet and all the safety harnesses and equipment that you need. Pico Bonito National Park is on the north coast of Honduras, and is one of the largest national parks in Central America. Pico Bonito probably offers the most bio-diverse geographical area in North America, due to the rugged area within this park. Habitats ranging from sea level mangroves to tropical cloud forests, with tropical rain forests and tropical dry forests are all within its boundaries. Just a half kilometer from La Villa de Soledad is an area of Pico Bonito with trails along the Cangrejal River. Here a visitor’s center gives access to a splendid 120 meter (almost 400ft.) 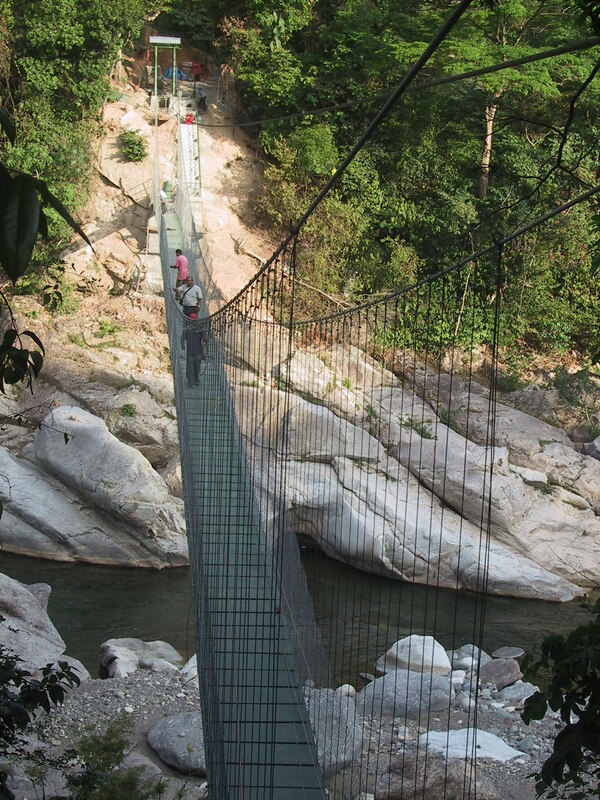 Indiana Jones style hanging bridge that crosses the magnificent Cangrejal River into the park itself. A well kept trail leads into the forest to the lovely El Bejuco waterfall. The round trip trail will take a good 3 ½ hours to the waterfall and back. The Cangrejal River visitor’s center is located only 100m (300ft) from La Villa de Soledad. Thus, it is perfect to get up early in the morning for a hike into the park to take advantage of this time of the day to see the local wildlife. Although mammals are hard to see, there are a variety of different mammals that have been seen within this area of the park, including the majestic jaguar, its smaller cousin the jaguarundi, river otters and even anteaters. More easily seen are a variety of birds, including motmots, toucans, parrots and many others. We can get local guides for your hike into Pico Bonito National Park. 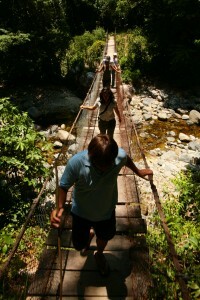 A network of trails into Pico Bonito National Park is available for you to enjoy and discover the tropical rainforest. Access is via an “Indiana Jones” style hanging bridge over the Cangrejal River. The bridge is only 600 feet from La Villa de Soledad. The trails include the shorter La Roca Trail, which will take you about one hour to hike. For a longer hike take the El Mapache Trail. This trail will take you to the foot of the El Bejuco Waterfall, that falls over 400 feet down the mountain cliffs on its way to the Cangrejal River. The second trail will take you about 3 hours to hike round trip and does require some physical work. Although you can enjoy the hike on your own, we recommend that you do it with the company of a local guide, who will point out some highlights and help you identify the wildlife you may see along the way. A small, grass roots NGO called Guaruma operates out of the community of Las Mangas. This is only about 2 ½ miles from La Villa de Soledad. They focus on environmental education through the use of photography, and teach kids how to use computers and speak English. They have a nice, very friendly trail that is great for people of all ages that will give you an insight to the tropical jungle. The trail takes about 1 hour to hike. It provides the opportunity to jump into a crystal clear swimming hole in a creek running down from the Nombre de Dios mountains. This hike is ideal for young children or older adults. The kids from the communities are excellent guides. People ask if we have a pool in our property. The truth is that it does not make any sense to have a pool when you have a magnificent river. Nature offers crystal clear waters and huge boulders to use as lounges. A great current will provide ideal exercise conditions that are much better than a lap pool. This is the perfect natural playground for kids. We even offer a personal guide to take show you the way to the best swimming spot at no charge! Our dog Nina, will patiently lead. She will even jump into the river and play with you while you are there. 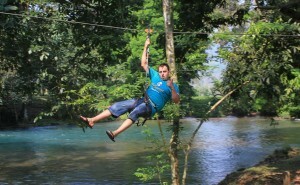 This is one of the activities that our guests enjoy the most. Come and play in our river, and discover how much better than a pool it really is! 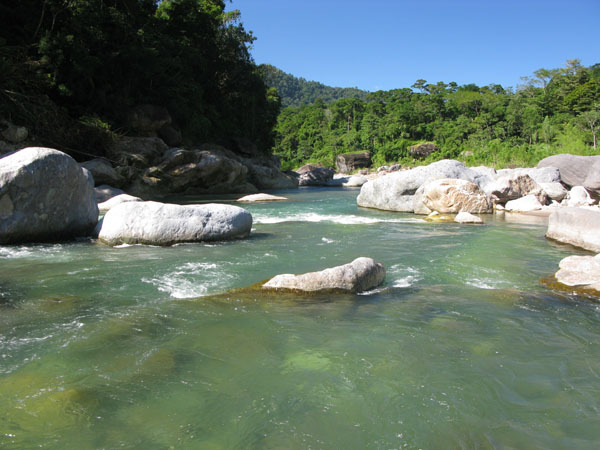 You can swim in a pool back home all the time, but you will miss swimming in the Cangrejal River! Yes I know, most people will not call this an activity, but believe me, it certainly is one! This is the best spot to get comfortable and read your book. Alternately, use your phone or tablet to catch up with your email, and even do some bird watching! Best of all, it is the perfect activity to finish off an adventure filled day in the jungle. 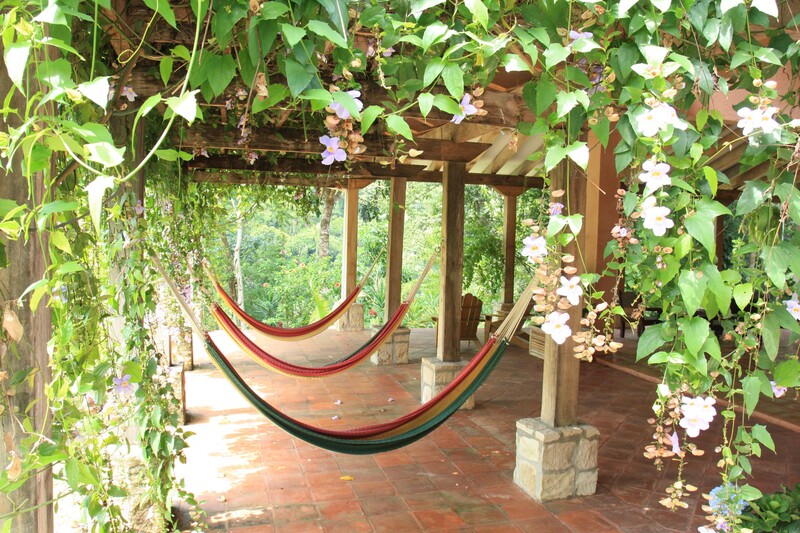 I just know you will agree with us once you settle into our hammocks! We have plenty of them throughout our property, so that you can find the one that is perfect for you! Just perfect to relax in nature!